James Kugel has made important contributions to our understanding of the Hebrew Bible and its interpretive life in Judaism and Christianity. Books such as The Bible as It Was (Belknap Press of Harvard Univ. Press, 2001), Early Biblical Interpretation (The Westminster Press, 1986), and The Idea of Biblical Poetry (Yale Univ. Press, 1981)—three classics of modern scholarship—show the immense scope of his work. Reading his books—even where one disagrees with some of his arguments—is an intellectual treat. A number of his books are aimed at non-scholars: How to Read the Bible (Free Press, 2014), The Great Poems of the Bible (Free Press, 2014), and The God of Old (Free Press, 2004). These books are distillations of scholarly insights, written in an accessible style while avoiding distorting simplifications. These books show that popularizations of scholarship can still be intellectually vigorous if one possesses Kugel’s talent for fluid literary prose and his capacious intellect. His new book, The Great Shift, is written for non-scholars and presents his insights about the changing perceptions of God, the human self, and related topics from early to late Biblical writings. These changing perceptions are the “great shift” to which the book’s title refers. 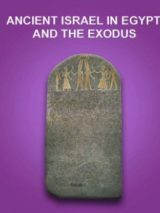 But it is also a very personal book, since Kugel’s persistent concern is how one can encounter God today in the modern Biblical religions of Judaism and Christianity while maintaining a dialogue with the Biblical testimony. This is what Kugel calls “the project,” which is his shorthand for a genuine encounter with God that acknowledges the continuities and changes in the nature of this encounter, from Biblical to modern times. The “great shift” refers to the transformation from the concept of the “God of Old” (described in many texts of the Pentateuch and Former Prophets as an anthropomorphic God that one can see and hear) to the concept of a fully transcendent God (prominent in the Latter Prophets and Writings). This transcendent God is encountered more inwardly than outwardly and is comparatively inscrutable and distant. Kugel astutely argues that the transcendent God emerges in tandem with a more interior-oriented perception of the human self. The more the self becomes individualized with an enhanced sense of personal responsibility and spirituality (distinct from the family or tribal group), the more God becomes a transcendent being—a “wholly Other” who is distant from the scrum of the human world and yet still accessible to the human heart. In Kugel’s picture, this shift in self-consciousness facilitates a great shift in theology. This general picture is compelling, as we can track many of these subtle changes in the intertwined perceptions of God and the self in Biblical writings. Kugel succeeds in illuminating the great shift. However, chunks of his discussion are confusing or even contradictory, with some parts at odds with others. To some degree this is because Kugel is trying to synthesize so much territory in the history of Biblical religion. But more important, it is because his aims are in some tension on a larger level. He is, on the one hand, describing Biblical religion “as it was”—that is, a historical inquiry—and, on the other hand, he is reflecting on how to have a genuine encounter with God in the present—that is, a theological inquiry. The relationship between a descriptive history and a normative theology is never clarified. Consequently, his comments circle first around one pole, then the other, and back again, yielding—at least to this reader—the occasional whiplash. Is the encounter with the “God of Old” different from a genuine encounter with God? I think Kugel would say no, and indeed he sometimes argues that the anthropomorphic picture of God is a modern misunderstanding of ancient motifs. But if that were true, then there is no “great shift” at all, God was always a transcendent being, and the human-like descriptions in the text are a cryptic code. 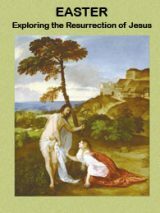 In my view, the weakest part of the book is the extended argument that the anthropomorphic characteristics of God that are abundant in the Pentateuch—God walking in the Garden of Eden, God and his angels visiting with Abraham and Sarah, God or an angel wrestling with Jacob—are really spiritual visions (a kind of “holy fog”) and not really bodily representations of God. Kugel seems to want the God of Old to be a removable mask for the transcendent God of later Judaism and Christianity. In a theological sense this might be true, but as an account of the history of Israelite religion it seems dubious. It is also an overstatement to say that the portrayals of Abraham, Jacob, David, and others in these stories lack interiority. Due to his dismissal of literary criticism, Kugel overlooks the capacity of dialogue to express psychological depth. There are literary techniques in Biblical prose that expose the characters’ interior dispositions, yielding what may be a similar sense of self as the interiority in the poetry of prophets and psalmists. Kugel’s grand project of blending the history of Biblical religion with a theology of modern spiritual encounter is ambitious and inspiring, but sometimes it seems that he is playing a game with two different sets of rules. It is an impressive achievement to weave together history and theology, but it may require a special magic to do this successfully. At times it seems like trying to play soccer and basketball simultaneously—it’s hard to know when to kick and when to throw, and whether the result is a goal or penalty. Such complications are a consequence of Kugel’s ambitious aims and restless intelligence, which produce compelling results laced with confusion. Despite the occasional vertigo, it is a treat to follow Kugel’s fertile mind as he wrestles with the biggest of questions—who is God, and who are we? Ronald Hendel is the Norma and Sam Dabby Professor of Hebrew Bible at the University of California, Berkeley. He is author of numerous articles and books, including Steps to a New Edition of the Hebrew Bible (Atlanta: Scholars Press, 2016) and Reading Genesis: Ten Methods (Cambridge, 2010).